so for a meagre £19 per year , dig deep guys , let’s keep this awesome site running at the incredible high standards. Note to the admins , thank you from all your hard work , I sure many of us never give it a thought , but I would like to put it out there , keep it up , we / I really appreciate it . Christ on a moped - the Festaff option seems to have gone out of the window! We are setting the bar at a minimum of 2 events with us in summer 2018. Complete 2 weekend events with us this summer 2018 and you will put you on a Priority Application List for Glastonbury 2019. I'm on a mass recruitment drive for resale day. This is becoming unbearable. Weather is looking alright down there this weekend. Tempted to take the dogs for a 5 hour round trip and a run around (on their leads) on the farm! had blood pressure test today, nurse said think of nice things and relax, mind goes to Glastonbury, then I remember I’ve no ticket. Not good for the blood pressure. Not that I was 100% free or even looked into but would anyone consider doing the Oxfam deal, then if they got lucky in the resale taking a big hit to attend completely to their own devices? It wouldn't be that big of a hit. As long as you cancel at least 6 weeks out, it'd be a £20 admin fee. I thought it was 6 weeks from being approved?  Cancelling a place at a festival before the 6-week cancellation deadline is £20 per festival. I've cut out some of the more detailed stuff about exceptional circumstances, lost equipment, etc. But it's definitely "6 weeks before you're expected on site" - for Glastonbury I make that either May 11, 13, or 14 depending on which day they're using so hopefully the resale has happened by then and anyone who's signed up to volunteer as an insurance policy will be able to make an informed decision. I have chosen go with Oxfam and to get a place was just as stressful as ticket day with the site crashing and all stewarding places gone in 20 mins, so not an option now unless you campaign I’m afraid. I’m going to stick with it weighing up all the pros and cons, ie go in early, we can take are motorhome, secure campsite. I see, if I'd have looked more I'd have secured a ticket...albeit I was at work that day so a toilet phone break would have been hard lol, and took the £20 hit if successful in the resale. Just to echo what a few people have said: the wait is by far the worst part! I saw the Resale Club twitter posted that a Friday or last week of Feb seems to be the most popular time for an announcement - so here's hoping for an absolute dogturd announcement in the next week or 2 to get more tickets back in that pot! so here's hoping for an absolute dogturd announcement in the next week or 2 to get more tickets back in that pot! Does anyone believe that really happens? I can certainly envisage that there are headliners who prompt some people to desperately want a ticket where they may have been on the fence before, just find it hard to believe the opposite. Tortured myself last night listening to Glasto 2019 playlist on Spotify then spent an hour looking through last years photos. Surely there’s gunna be an announcement soon. This weather is making me feel nostalgic for the fields, and excited at the prospect being there. I have a good feeling today, we got this!!! Same here , sunshine is out , me and Mrs been on a road trip today , listening to radio X and contemplating possible acts who could play / have played in the past.